Log in with your Apple developer account at https://developer.apple.com/account/ to submit your app. If you are already logged in, you can go to App Store Connect and proceed to the 3rd step in this article. If you don’t have an Apple Developer Account, you can take a look at our 2. How to create an Apple Developer Account? article. 1. After you sign in with your Apple Developer Account, click App Store Connect on the next screen. 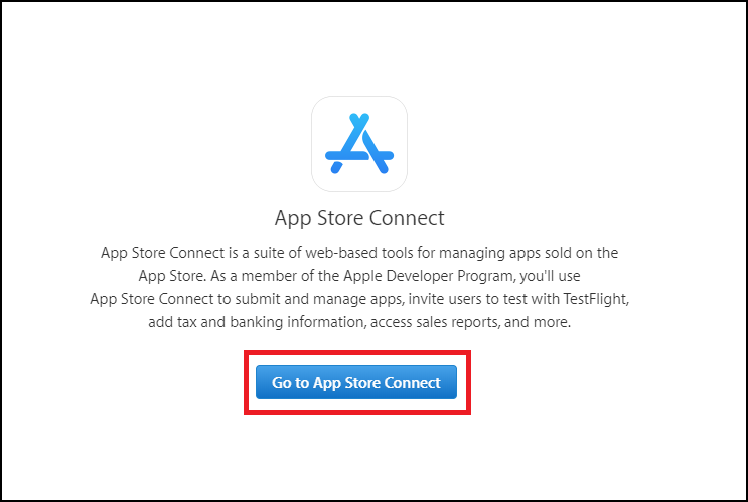 If you have logged in before with your developer account and did not log out, you can go to https://appstoreconnect.apple.com/ and proceed directly to step 3 in this article. 2. The next screen (as shown below) includes descriptions of what you can do with App Store Connect. Click Go to App Store Connect to proceed to the next step. 3. Now click My Apps to continue. 4. To add a new app, click + button on the top left corner, and choose New App on the menu. 5. If you don’t have a Bundle ID, you will get a warning about it. You can create a Bundle ID by clicking Register one here button. 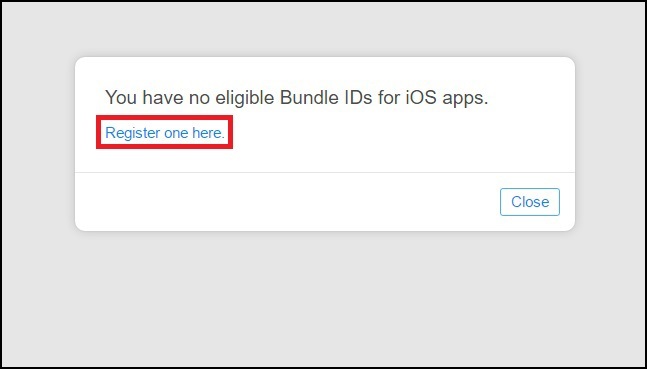 To create a Bundle ID, you can get help from our 3. How to create a Bundle ID? article. 6. If you do have a Bundle ID, the screen below will appear. This window is where you name your app, choose its Bundle ID, and choose other settings like its language. After you fill in the requested fields, click Create to continue. 7. The next screen is the App Information. Only fill in the Category section here, and click Save. 8. Now we have reached to the Pricing and Availability screen. Go to Price Schedule part and click Choose to define the pricing for your app. If you want to publish your app for free, you need to choose the price as 0. After you make the requested choices, click the Save button and go to the Prepare for Submission screen. 9. Add your app’s screenshots here in JPEG format with 5.5-inch size (1242×2208 px). Note: At least two of the screenshots must show the content of your app. 10. When you scroll a little bit down, you will see the description and keyword fields. Description: The description part of your app in the Apple App Store. Keywords: The keywords of your app. Support URL: This field is for you to enter the support site, contact info or the website for your app. Note: These fields can’t be left blank. 11. When you scroll down, you will see the fields about your app’s icon, the license agreement and the representation of commercial rights. App Icon: The icon of your app that will be seen in the Apple App Store. It should be the 1024×1024 pixel in JPEG format. Copyright: The part that you can show the copyright of your app. Note: The contact info located on the right side shouldn’t be left blank. 12. When you scroll down, you will see the part where you need to enter your contact info, through which the Apple will communicate with you. 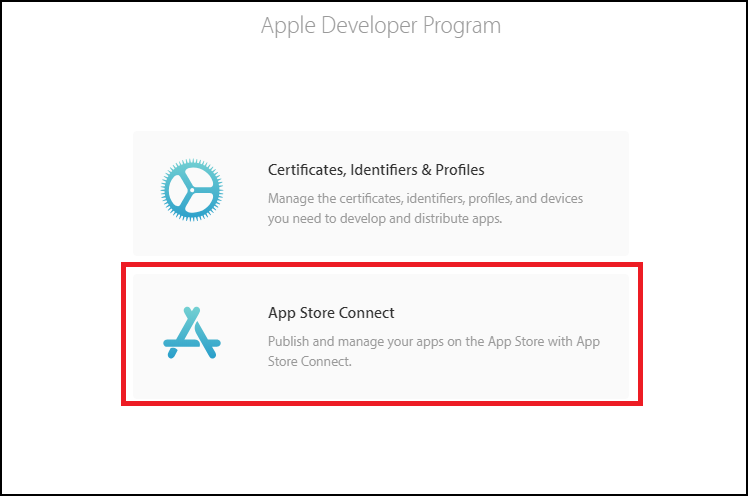 Moreover, if there is a membership system in your website or your app, you have to give the Demo Account info at the related field for the Apple App Store to examine the system. When you fill in these fields, the package creation will be the next step, and MobiRoller team will start building your app Package. Before your package generation is started, you have to be sure that your app’s logo doesn’t contain any transparency. Otherwise, the IPA of your app can’t be generated. IPA is the file extension for application archive files for devices that use the iOS operating system. In order to publish your app in the store, you need to submit this file. Once you complete these steps, you need to contact MobiRoller team through [email protected] and provide your Apple ID. 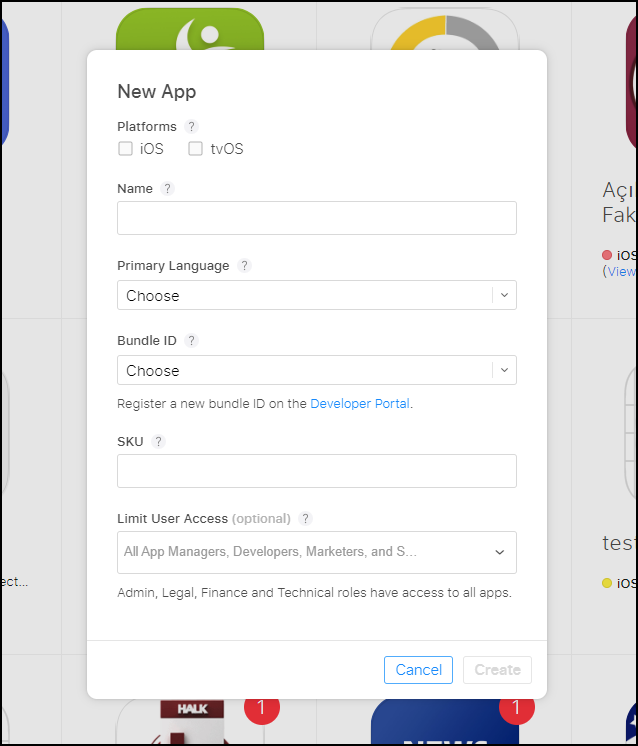 The MobiRoller team will upload the IPA to your developer account within 7 work days and send your publishing request to Apple. – The screenshots of your app in the market should show the content of your app and shouldn’t be from an Android device. – You shouldn’t leave the Description, Keywords and Support URL fields blank. – There shouldn’t be any transparency in your app’s logo. If there is, you won’t be allowed to upload it. – The only content in your app can’t be your website. Because the Apple App Store rejects the apps that provide the same user experience with the Safari without any added value. – You have to fill in your contact info completely. – If there is a membership system in your website or your app, you have to create a Demo Account and send its login info to the Apple App Store, so they can examine the system. – You should turn off the two-step verification and turn on two-factor authentication to submit your app fast and hassle-free. You can do it by reading the Turning on the two-factor authentication for your Apple ID article. – When you pass all the steps, send your IPA upload request with your user info to the [email protected]. Your IPA will be uploaded within 7 work days after have you sent your request. Apple will examine your app regarding the technical aspect, content, and design. If there is no quality problem in your app and all the criteria are ok, your app’s approval period will begin. This period usually takes between 2-7 days. Note: The approval process is entirely in Apple’s hands. We can’t guarantee that Apple will approve every app. If Apple rejects your app, you will receive a rejection message, including the reason why the app got rejected. If that is the case for your app, you should update your app according to the issues mentioned in the rejection mail. Then you need to inform MobiRoller team via [email protected] to apply again. Now that you know how to submit an app to the Apple App Store, perhaps you would like to know how to change its store data, name and icon? Well, in that case, look no further than our article about just that!